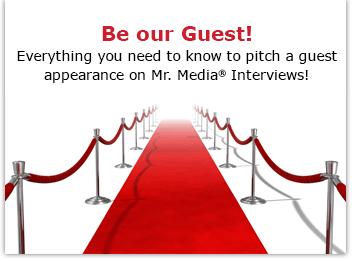 Mr. Media is recorded live before a studio audience of Fox News Channel hosts who think they know everything about everything but – with the exception of Bill O’Reilly – don’t have the intellectual confidence to argue facts instead of ignorance… in the NEW new media capital of the world… St. Petersburg, Florida! 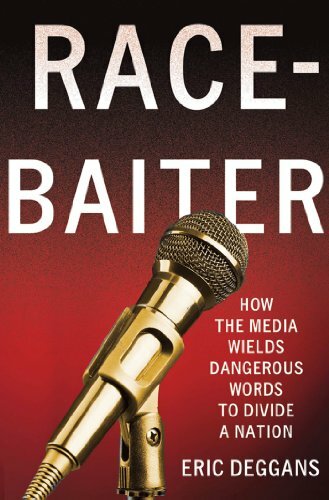 Order ‘Race-Baiter: How the Media Wields Dangerous Words to Divide a Nation’ by Eric Deggans from Amazon.com by clicking on the book cover above! This may surprise my friend Eric Deggans, but I think he actually owes Fox News Channel’s Bill O’Reilly a debt of gratitude. Seriously, Eric, think about how many years you kicked around the idea of doing a book without really honing in on the topic – or the provocation. Then along comes the no-spin zone guy, host of “The O’Reilly Factor,” to pluck you from the nattering nabobs of negativity in the media for special attention. You were already a great and talented writer, my friend, but one with a limited platform. O’Reilly made you a star and, even better, inspired you to write a kickass book about a subject near and dear to your heart. In Race Baiter: How the Media Wields Dangerous Words to Divide a Nation, Eric takes the way Fox News Channel and other 21st century media sources such as The Drudge Report and the late Andrew Breitbart have given up the conceit of respectful political discourse among rival ideologies and gone to nasty, no-holds-barred racial attacks. His book delves into the stories behind all the buzziest names in modern racial politics: Barack Obama, Shirley Sherrod, Rev. Jeremiah Wright, Trayvon Martin and Al Sharpton on one side, Sean Hannity, Glenn Beck, Rush Limbaugh, The Drudge Report, Megyn Kelly, Newt Gingrich, Breitbart and O’Reilly on the other. No matter what side of the political or racial fence you’re on, you could learn a lot from this book. Congratulations Eric on more well-deserved recognition!